October 2014 - American Solar Tinting, Inc.
Commercial Window Tinting helps improves comfort, energy efficiency, and security. Wow! What can’t window tinting do? Well, did you know that window tinting can also help improve employee productivity? Now you know! But how? According to a Cornell University study, employee productivity is at its highest when office temperature falls between 70 and 73 degrees. Productivity, however, takes a dive when temperature drops below 63 degrees or climbs above 82 degrees. Employees began wasting 10% of their time per hour. Employees started making 44% more mistakes. According to another study, 80% of employees have issues concentrating when the temperature is warmer than normal. Nearly 66% of employees admit tasks take as much as 25% longer when it’s warmer. Commercial window tinting can help stabilize your office temperature and keep your employees happy, healthy, and productive. Chances are, your employees often have to be at their computers for the majority of the day. And while natural light is great, it can also cause annoying glare, which can negatively affect productivity. Commercial window tinting, meanwhile, can reduce glare by up to 87%, allowing your employees to work at their computers without interruption. Hello, increased productivity! With window tinting, you can still reap the benefits of natural light while getting rid of distracting glares. American Solar Tinting can customize your tinting treatment to serve your Baltimore business’s specific needs. If you have any questions about Commercial Window Tinting and Productivity, please call American Solar Tinting today at 1-800-0100. You can also follow American Solar Tinting today on Google+, Pinterest, Facebook, and Twitter. Climate experts at the National Oceanic and Atmospheric Administration are predicting another harsh winter here in Baltimore, Maryland. And the Farmer’s Almanac agrees, predicting a colder than normal and wetter than normal winter. Are you ready? More importantly, is your home ready? According to the U.S. Department of Energy (DOE), windows account for 25-40% of your annual heating and cooling costs. Yikes! Windows can be a great source of heat loss in the winter or heat gain in the summer. The key phrase here is “can be.” Fortunately, there are ways to improve the energy efficiency of your windows. And one of the easiest and most cost effective ways to do this is with Residential Window Tinting. In the past few years, home window tinting has become increasingly popular. Tinting is not just for celebrity limousines anymore! Homeowners are beginning to realize the benefits tinting can have on their home, from increased privacy to improved energy efficiency. Yes, we said improved energy efficiency! One of the primary benefits to tinting your windows is that it minimizes heat loss in the winter and heat gain in the summer, which saves you money. Your wallet will thank you. In fact, residential window tinting can cut energy costs by as much as 15%. Wow! So how does it work? In the winter, tinting helps reflect radiant heat back into your home, reducing heat loss. 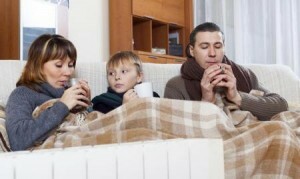 In layman’s terms, you will stay warmer as well as save money all winter long. That’s what we like to call a win-win! Click Here to learn more about the benefits of residential window tinting! Since 1958, American Solar Tinting has helped over 46,000 customers – both commercial and residential – throughout Maryland, Virginia, and Washington, D.C. We specialize in custom commercial and residential window tinting. Click Here and be on your way to energy savings, improved comfort, and so much more! If you have any questions about Residential Window Tinting, please call American Solar Tinting today at 1-800-0100. You can also follow American Solar Tinting today on Google+, Pinterest, Facebook, and Twitter. As a young child, your mother probably pulled you aside one day to teach you a very valuable lesson. Don’t judge a book by its cover. Sorry, mom! Despite the speech, the lesson never really sank in. But that’s just human nature. We are wired to make snap judgments based on little more than visual appeal. That’s just how it is. The eye is naturally drawn to what the brain finds attractive, whether it is a person, place or thing. This is why, as a business owner, it is important to invest money in your storefront. Image is everything, or so they say in the business world. Your business’s curb appeal has a huge effect on whether or not a customer decides to do business with you. Studies have shown that potential customers have increased confidence in businesses with aesthetically pleasing storefronts. Right now, when a potential customer looks at your storefront, what do they see? What kind of first impression are you making? Does your storefront adequately convey your message to passersby walking the streets of Baltimore? A cost effective way to improve curb appeal and attract new customers is with Logo Graphics. At American Solar Tinting, we offer custom, eye-catching corporate logos and graphics for glass windows, walls, and doors. Our installations are fast and easy, and can be removed and replaced with new information in a matter of minutes, allowing you to update your look without breaking the bank. If you have any questions about Logo Graphics, please call American Solar Tinting today at 1-800-0100. You can also follow American Solar Tinting today on Google+, Pinterest, Facebook, and Twitter. You usually only think of the sun as a harmful thing towards your skin, but have you noticed your furniture looking a little drab recently? Have the colors in the room faded over the years? This is most likely due to the amount of sun reaching the inside of your home. So how can you prevent this problem from continuing? Look into residential window tinting. Never heard of it before? No problem! 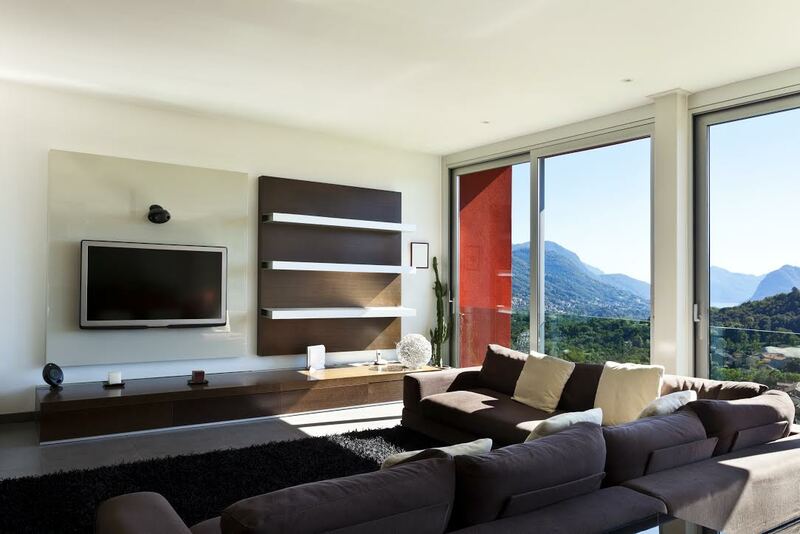 Keep reading to see how residential window tinting can protect your furniture. Window tinting can help to keep the interior of your home looking brand new by preventing the sun from contributing to the deterioration of your furniture. Residential solar window tinting in your home can block up to 99% of harmful UV rays! This means protection of all furniture, rugs, paintings, flooring, and more. You want your family and friends to be comfortable in your home while sitting on your furniture. Solar tinting can also help keep the rooms of your home cool, allowing for further protection. Have you ever been in your living room watching your favorite movie or show, and that awful glare on the TV is making it hard to see? With residential window tinting, you don’t have to worry about that glare anymore. Glare is reduced by almost 87% with solar tinting! Are you convinced yet? If you’re worried about tinting fitting in with your home, don’t fret. 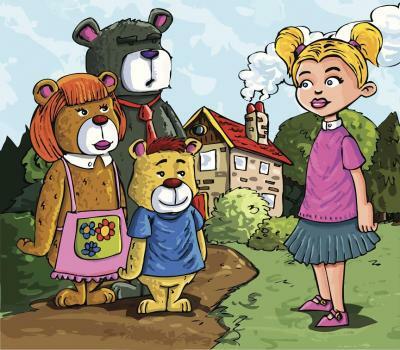 At American Solar Tinting Inc., we realize that not every home is the same. We provide professionally installed, custom tinting for your specific home. Since 1958, we have served over 46,000 satisfied customers in Maryland, Virginia, and Washington D.C. As a licensed, bonded and insured company, we take our job seriously and only offer the highest quality solar tinting products available. For more information about residential window tinting, give American Solar Tinting a call today at 1-800-0100. Be sure to follow us on Google+, Pinterest, Facebook, and Twitter. Let’s face it; someone is always complaining about the temperature in your office. It’s inevitable. It’s either too hot or too cold. The temperature is never just right. Where is Goldilocks when you need her? Unfortunately, you don’t live in a fairy tale world. There is no magical solution to your problem. No fairy godmother. No magical beans. No ruby slippers. There aren’t even any walking, talking, porridge-loving bears. But there is a simple (albeit non-magical) solution: Commercial Window Tinting. One of the primary reasons for heating and cooling imbalances in commercial buildings is windows. By reducing the impact the sun has on your office space and stabilizing building temperature, you can have a significant impact on tenant comfort and employee productivity. Believe it or not, office temperature plays an important role in employee productivity. According to a Cornell University study, employee productivity is at its highest when office temperature falls between 70 and 73 degrees. Productivity decreases when temperatures drop below 63 degrees or climb above 82 degrees. Employees waste 10% of their time per hour and make 44% more mistakes. Ouch! Fortunately, commercial window tinting can help stabilize your office temperature and keep your employees happy, healthy, and productive. Energy Efficiency: According to the U.S. Department of Energy (DOE), windows account for 25-40% of a building’s annual heating and cooling costs. Commercial window tinting can reject up to 80% of the sun’s heat and reduce energy costs from 5 to 15%. Security: Tinting is designed to prevent glass from shattering in the event that it is broken and to safely hold it in place. Glare: Glare from the sun can cause headaches and eye fatigue, resulting in decreased productivity. Commercial window tinting can help eliminate glare, allowing your employees to stay productive. Ca-ching! Hello, increased profitability. View: Closing the shades makes offices feel closed off and increases the use of overhead lighting. Tinting can help eliminate glare and reduce overall energy consumption. If you have any questions about Commercial Window Tinting, please call American Solar Tinting today at 1-800-0100. You can also follow American Solar Tinting today on Google+, Pinterest, Facebook, and Twitter.